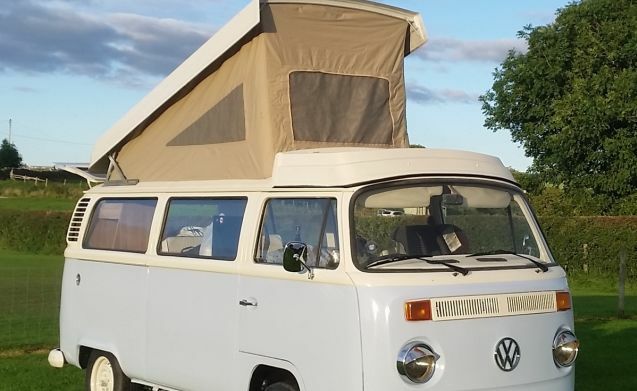 Murdoch completely restored in July 2016 and has new everything - Fresh engine, New Upholstery, New Canvas and slick new paint job. 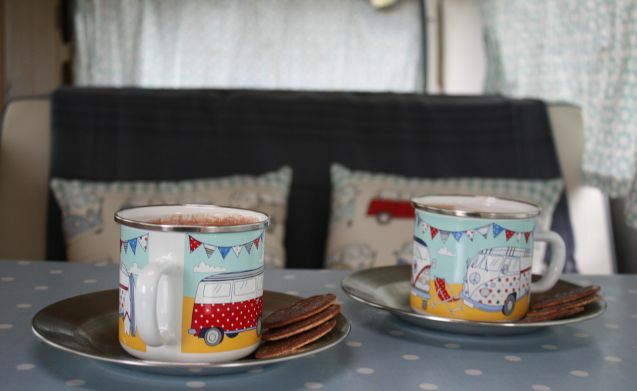 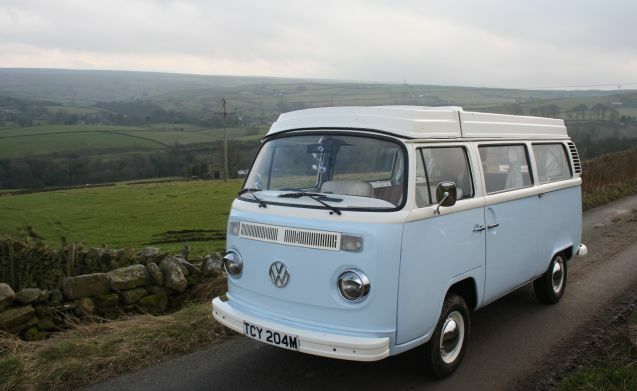 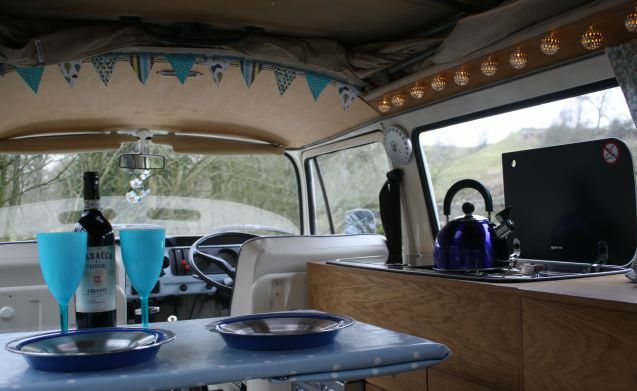 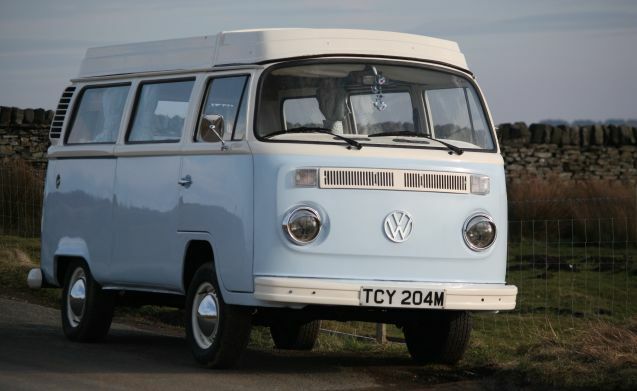 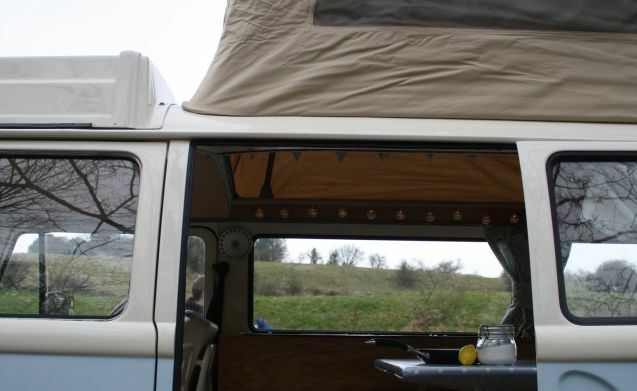 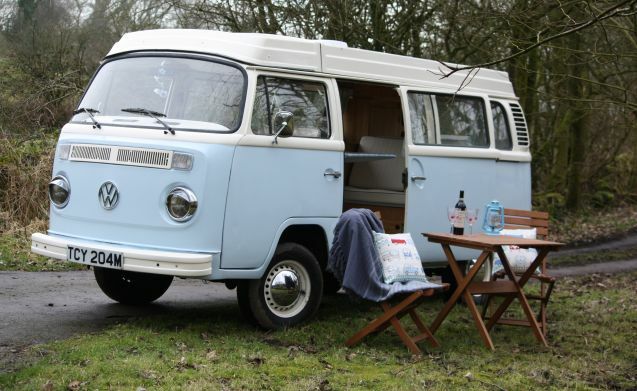 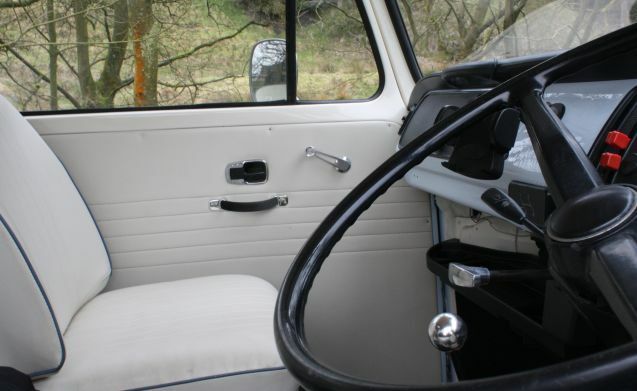 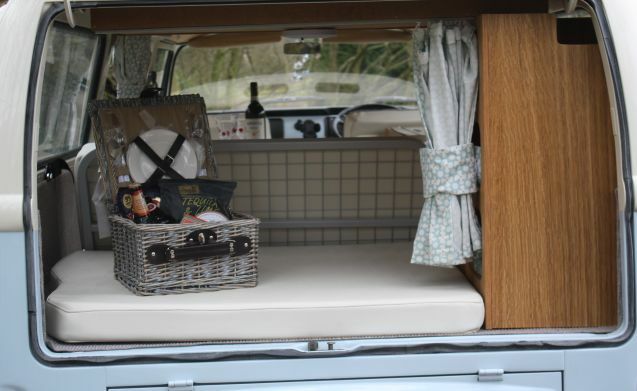 Enjoy your holiday with our retro 1973 T2 camper, with the luxury of modern living facilities! 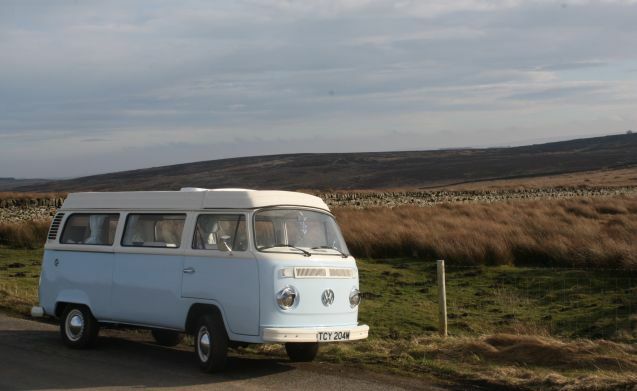 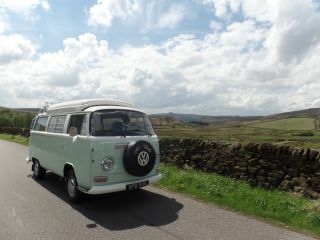 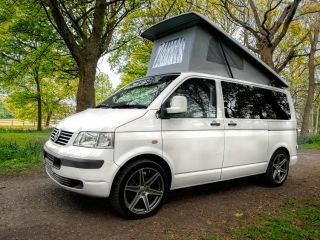 We're located in Cowling, North Yorkshire and are ideally situates for trips to the Yorkshire dales and lake district. 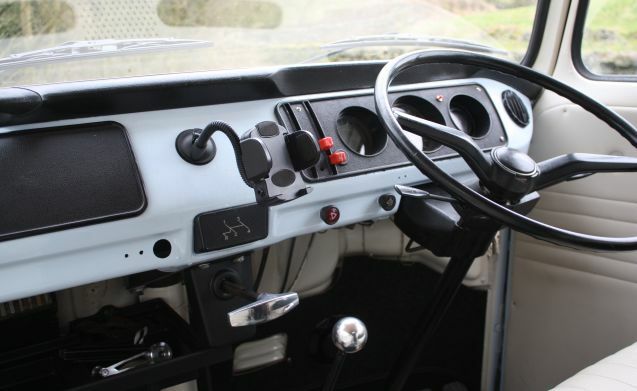 Insurance, breakdown cover and parking for your vehicle while you take Murdoch away is all included.